Greetings from your WoodWeek news team. We’ve got plenty of industry updates for you this week. 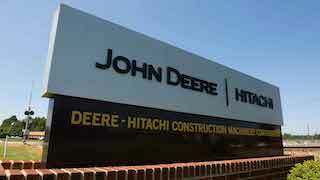 First up, after almost 30 years, John Deere and Hitachi have ended their distribution arrangement of Deere machinery in Australia. 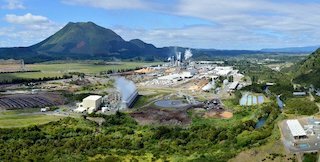 In other international wood news researchers have developed a new technique based on gasification, which offers a sustainable way to turn forest industry by-products, such as bark, sawdust and forestry waste, into transport fuels and chemicals. Moving to markets, where, in December, the official China manufacturing purchasing managers index (PMI) fell below 50 for the first time in the past 12 months reflecting a slowing of manufacturing activity. The China PMI is widely regarded as a good leading indicator of economic activity. On the other hand we also have news today that China's forestry sector output reached 7.33 trillion yuan (about 1.1 trillion U.S. dollars) in 2018, 2.88 percent up from that in 2017 (and yes, that’s a lagging indicator). Moving to international logging developments, we're seeing strong interest from loggers and foresters in both Canada and USA for our upcoming HarvestTECHX conference coming in March to Vancouver. Due to heavy demand, our partners for the field day are setting up a repeat second day to cater for more organisations. This event sold out when it last ran in Vancouver in 2016. Register now to avoid disappointment. Our international line-up of speakers will outline how logging is set to get another boost from technology. Leading loggers in Canada, & USA have quickly adopted new mechanised machinery for harvesting steep slopes. Now a new generation of technologies for remote control machine operating is set to be unleashed. This paradigm shift in operation will bring both labour and safety gains. Remote tree felling yarders and fully hydraulic controls are now being deployed in production operations. 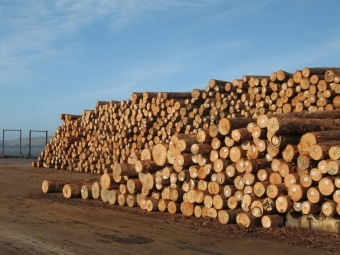 The next step - controlling machines remotely (on-site initially and then off-site) - will make logging safer. With no workers present on forest slopes as tree stems are felled, bunched and extracted, they can’t possibly be injured. Register now to get the best rates at https://harvesttechx.events. One of last week’s stories on tree-planting worker challenges has generated further comment from Forest & Bird and workers’ advocates. Oddly, this is one area where labour-saving technologies have not been the subject of any commercial attention (that I’m aware of anyway …). Wonder why that is? Finally, we have one story before today’s humour on the un-recyclability of plastics. It’s there as a thought-provoker. Just above that story is one about how wood in bio-plastics could change that. “The annual cost associated with hill country erosion is estimated to be between $100 million and $150 million through lost soil, nutrients and production, and damaged infrastructure and waterways,” says Ms Collins. “We estimate that over four years, these programmes will result in more than 13 million trees being planted and treatment of more than 21,000 hectares of land,” says Ms Collins. China Purchasing Managers Index (manufacturing) for December 2018 – In December 2018, the official China manufacturing purchasing managers index (PMI) fell below 50 for the first time in the past 12 months reflecting a slowing of manufacturing activity. An index of 50 is the threshold between positive and negative sentiment. The press release from the National Bureau of Statistics mentions that PMI for medium and small sized enterprises were both below 50. So on one hand:Many of the leading indicators for the Chinese economy continue to show weakness on both the export and domestic manufacturing front. Weakness in domestic demand has been much more pronounced than anticipated. The Chinese government has in place measures aimed at boosting disposable income through tax adjustments. There has also been talk of incentives for SMEs to try and avoid job losses. On the international trade front it seems as if some import tariff will be lowered. While many observers anticipate a protracted economic slowdown, judgements on the direction of the economy solely on the manufacturing PMI can be misleading as this does not include construction which is covered in the non- manufacturing PMI. China’s PMI for all sectors was still above 50 in December 2018 from 52.8 in the previous month. 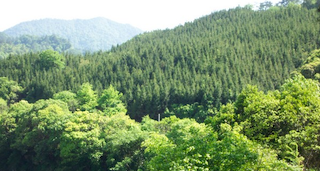 China's forestry output tops 7 trln yuan in 2018 – China's forestry sector output reached 7.33 trillion yuan (about 1.1 trillion U.S. dollars) in 2018, 2.88 percent up from than in 2017, according to the National Forestry and Grassland Administration. If you employ people in New Zealand, then you should know about changes to the Employment Contracts Act that took effect in December 2018. Union representatives can now enter workplaces without consent, provided the employees are covered under, or bargaining towards, a collective agreement. Businesses must now enter into bargaining for multi-employer collective agreements, if asked to join by a union. Employees will have extended protections against discrimination on the basis of their union membership status. What you need to do: To learn more about these and other changes coming into effect on 6 May 2019 click on the link below or get your HR person to do it. New technique based on gasification – VTT Technical Research Centre of Finland Ltd has developed a new technique based on gasification, which offers a sustainable way to turn forest industry byproducts, such as bark, sawdust and forestry waste, into transport fuels and chemicals. The new technique reduces carbon dioxide emissions by approximately 90% compared to fossil fuels. Last week in Friday Offcuts we ran a story on the shortage of workers for planting trees. (see www.fridayoffcuts.com). It went like this: Pay rates of $400 a day are not enough to attract workers to plant trees, potentially putting a brake on the Government's one billion trees by 2028 campaign. Forest nurseries have doubled plantings to 100 million tree seedings in response to Government incentives, but finding staff is the biggest hurdle to getting them in the ground. The story has had two reported feedbacks with RNZ running a response from Forest & Bird challenging the MPI programme itself (see here) and a worker advocate challenging the worth of the roles: Here's why no-one wants to plant trees for $400 a day - New Zealanders aren't taking short-term jobs because it's not worth their time to do so, workers' advocate say. They were responding to reporting last week of a shortage of people to plant the trees required by the Government's one billion trees by 2028 campaign. "If you look at the industries that are claiming a worker shortage they're all low paid, some have even broken the law through the exploitation and human trafficking of migrant workers," he said. "There's a reason no-one wants to work in these jobs, their time isn't worth the money and they often cannot afford to live on what some of these unethical businesses choose to offer. And it is a choice, right, what's really disheartening is that it's not like the money isn't there. Horticulture for example is one of our highest export earners." In the 2017/18 financial year, there were 104,781 approved student visa applications. For 2018/2019, it was 44,970. "We end up with a split labour market. Kiwis won't do the dirty, dangerous low-paying jobs." He said employers finding it hard to hire should look at their strategy. "If they want to sustain their business in their industry they need to attract the young ones." Opportunity for new bio-plastics industry - Bio-based plastics made from forest resource have been under study for years. This year, I served on the judging panel for The Royal Statistical Society's (RSS) International Statistic of the Year. We recently announced the winner: 90.5 per cent, the amount of plastic that has never been recycled. Why is that such a big deal? Much like the Oxford English Dictionary's "Word of the Year" competition, the international statistic is meant to capture the zeitgeist of this year. The owner says, 'This is a dry cleaners! '.